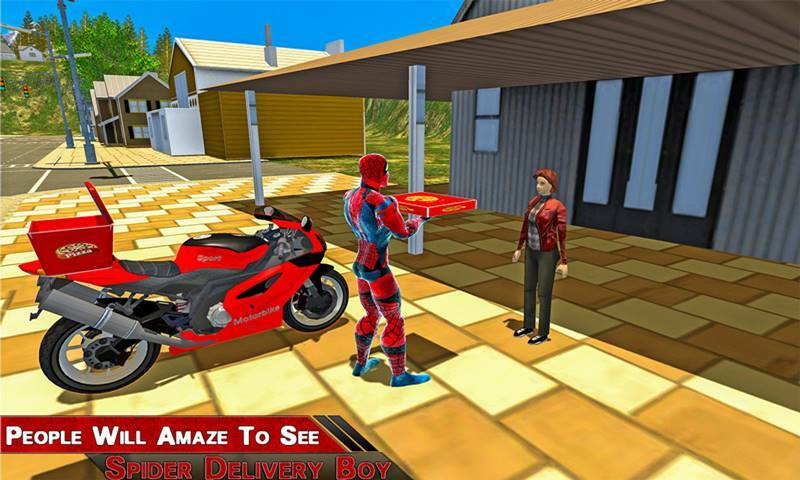 Incredible hero is doing role as pizza delivery boy with futuristic bike pizza driving simulator. Spider Pizza delivery games were never been such amazing. This is a new way of modern futuristic delivery of pizza with bike driving in which our delivery boy has to drive bike and deliver the pizza in limited time. Get ready to become a pizza man and run your own pizza shop and deliver pizza as well like a pizzeria boy. 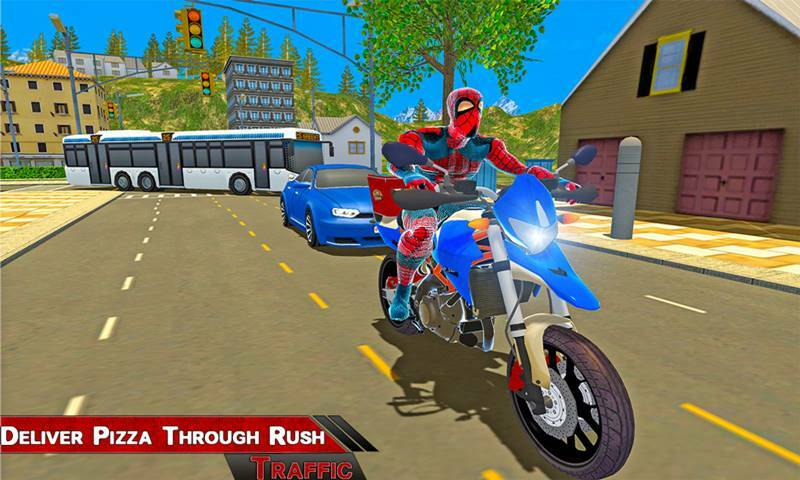 This super spider pizza game is made for those who want to become a delivery man. Deliver pizza in different areas of the city in given time. If pizza delivery boy fails to reach the destination within the limited time the level will be failed in Super Spider Hero Pizza Delivery. 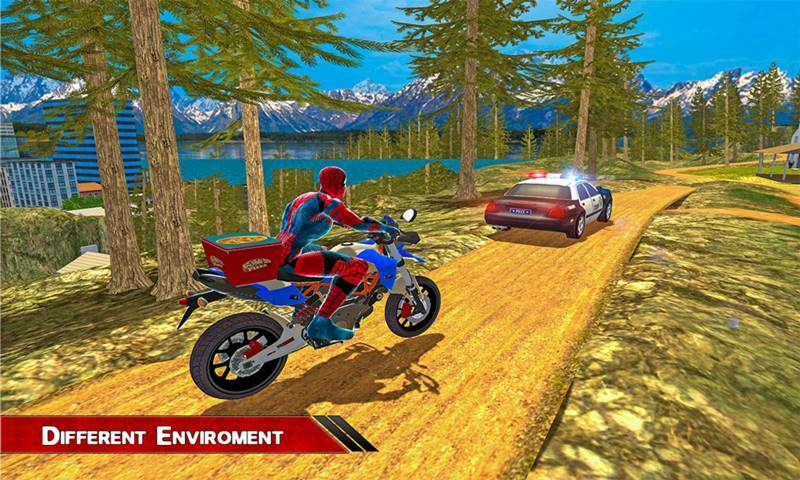 Challenging Gameplay: Pizza delivery from incredible hero is hard job because super spider never took the role as pizza delivery. 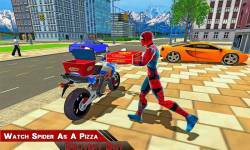 This super spider hero pizza delivery bike is designed for the lovers who want to play the role of spider pizza delivery boy.